The FAME club made a presentation during a staff development meeting Feb. 5 regarding its desire to promote healthier food choices in the student store. 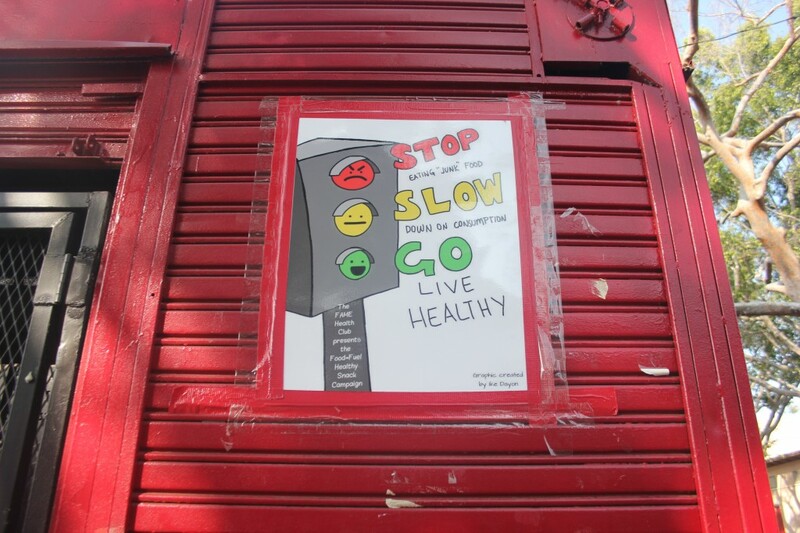 The club’s initiative to bring up posters regarding healthy eating choices was met with approval by Principal Alejandra Sanchez and other faculty members. “We created banners to help students make healthier choices,” said SAS student and FAME club officer Ibiyemi Familoni. Things grew difficult when the idea of putting up their signs next to the student store was brought up. “Administration told them not in our house…or [on] the vending machines,” said Senior Financial Manager Nena Jalos. “Our goal before the school year ends…is to improve the snacks at the student store, “ said SAS student and FAME club officer Dulce Gutierrez, “…We’re planning to do a survey of snacks students want within LAUSD school guidelines”. The health level of the snacks already sold is actually within district guidelines according to Jalos. “We are selling only what is allowed by the district…Those[snacks] were already analyzed by nutritional experts…”. The question of the posters was settled during a meeting between Principal Sanchez and FAME representatives on Friday. Eventually an agreement was made, “we got permission to put our banners up and we will continue with our action plan to bring in new snacks,” said Dulce. Despite disagreeable hiccups like the debate over banner placement teachers, staff, and FAME club members continue on their march towards a healthier student body.